Yesterday I reported that this change was going to happen. Today, I had a chance to sit down with Al Yow, the now-former owner of Olde Orchard Diner to discuss the change. Yow says that he’s been in the food service industry for 40+ years and that’s a long time. He loves his diner but also realizes that his body is tired. It was time to spend a little more time with the grand kids, now. 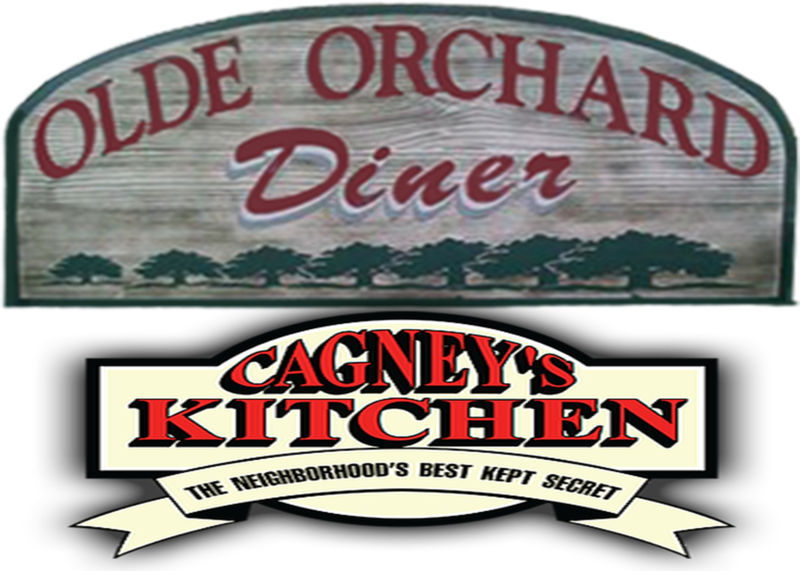 The sale was final as of October 1 and Yow confirmed that the restaurant would continue to operate under Olde Orchard Diner for right now, however, in the very near future, they will close the restaurant, do renovations and reopen under the re-branded name of Cagney’s Kitchen. The menu will, at that time, be uniformed just as the other five locations’ menu, meani ng the food will be more like the others’. A few things that will immediately happen are some procedural things that the public probably won’t notice much of. Basically, it’s mostly in the service and behind-the-scenes. What the public will notice is that sometime this week, the Hershey’s Ice Cream cooler will be gone. Cagney’s won’t be keeping that. Also, the hot bar that customers see as soon as they walk through the vestibule will be moved to the kitchen, in the back. They have already changed the biscuits to the kind that is normally served at the other Cagney’s locations. The new restaurant will serve home made desserts, just like the others, as well. In the dining room, the renovation will eliminate the current seats, tables and booths and replace them with updated fixtures. The ceiling tiles will be replaced with newer ones. Supposedly, according to the chatter I heard about the restaurant, today, Cagney’s expects the renovation to take no more than a week. With the nature of contractors being what it is, we’ll see if that schedule goes as planned. Too many restaurants around town have set “opening dates” but most of those targets are overshot, sometimes by more than a little. It will be interesting to see how the whole changeover goes. It will be different not seeing Al standing in the serving window of the kitchen and thanking us and “God-blessing” us. He has a back surgery scheduled in the upcoming weeks and the toll that standing for so long has taken on him has led to this. We at The Man Who Ate the Town: A Food Blog wish him and his wife Susan best of luck with whatever they plan to do (I believe Susan plans to work at Cagney’s) and thank them for having it there for us “locals” that needed it and enjoyed it. You can find more about Cagney’s and their locations (this one will be added soon, I’m sure) by visiting their website (click here).